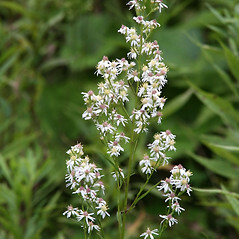 Arrow-leaved American-aster is widespread across the eastern half of North America, but in New England it is known only from Vermont, where it is listed as endangered. 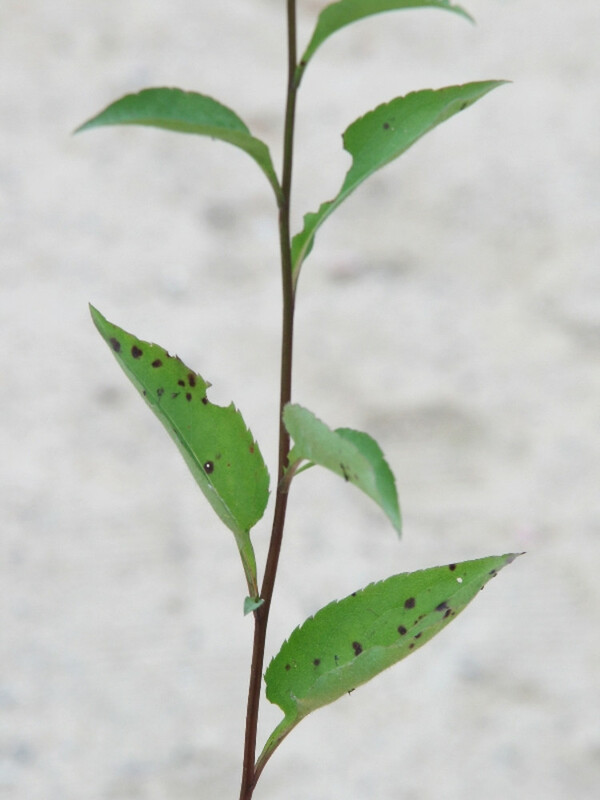 It inhabits fields and open spaces on high-pH soils. involucral bracts obtuse to narrow-acute, with an apically dilated chlorophyllous zone, and middle and upper stem leaves conspicuously clasping the stem (vs. S. urophyllum, with involucral bracts acuminate, with a slender, elongate chlorophyllous zone, and middle and upper stem leaves sessile but not clapsing the stem). involucral bracts obtuse to narrow-acute, with an apically dilated chlorophyllous zone, and petioles unwinged (vs. S. urophyllum, with involucral bracts acuminate, with a slender, elongate chlorophyllous zone, and petioles broadly winged). 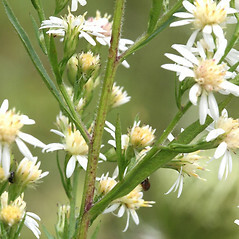 Aster sagittifolius, auct. non Wedemeyer ex Willd. 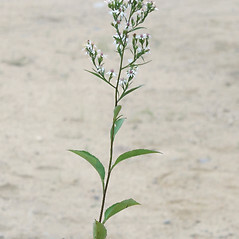 arrow-leaved American-aster. 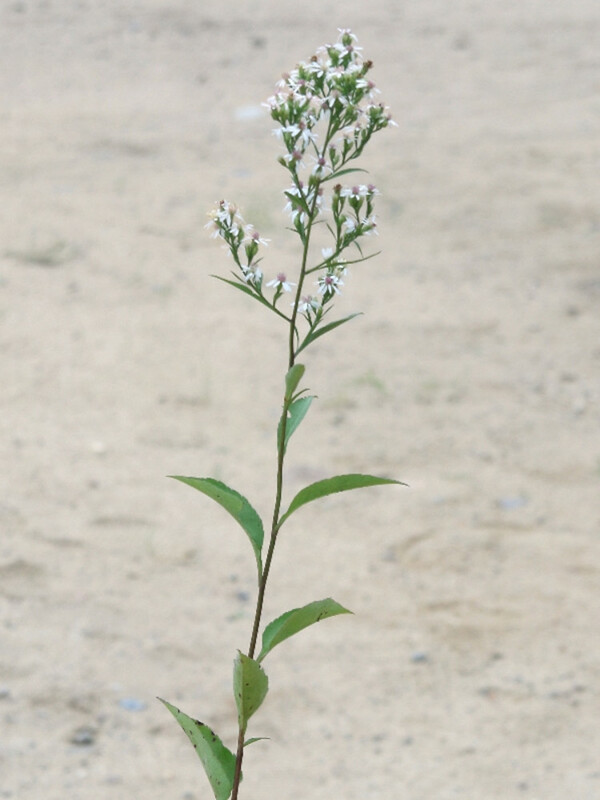 Aster sagittifolius, auct. non Wedemeyer ex Willd. 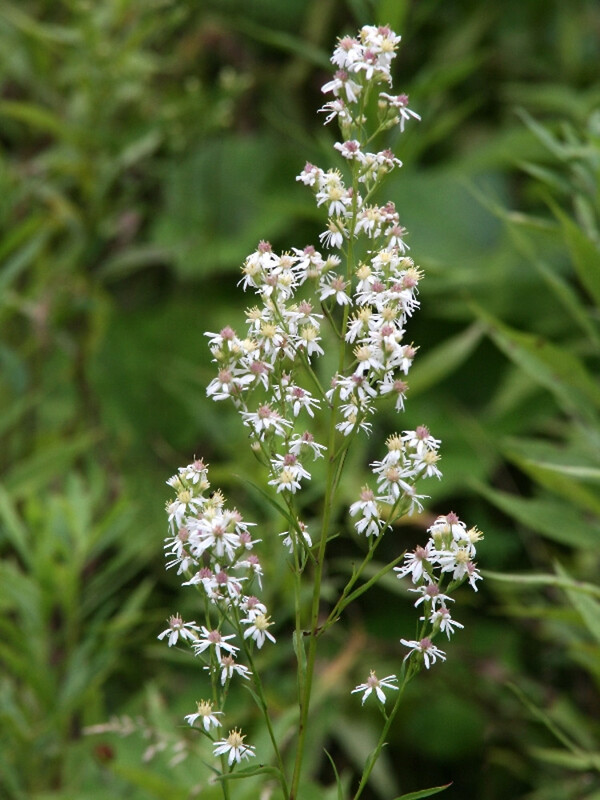 ; A. sagittifolius Wedemeyer ex Willd. var. 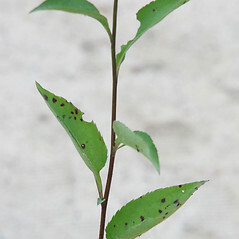 urophyllus (Lindl.) Burgess; A. urophyllus Lindl. • VT; also reported from CT, MA, ME, NH by Brouillet et al. 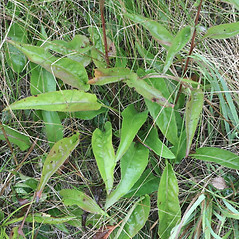 (2006), but specimens are unknown. Fields and open places in high-pH bedrock regions. 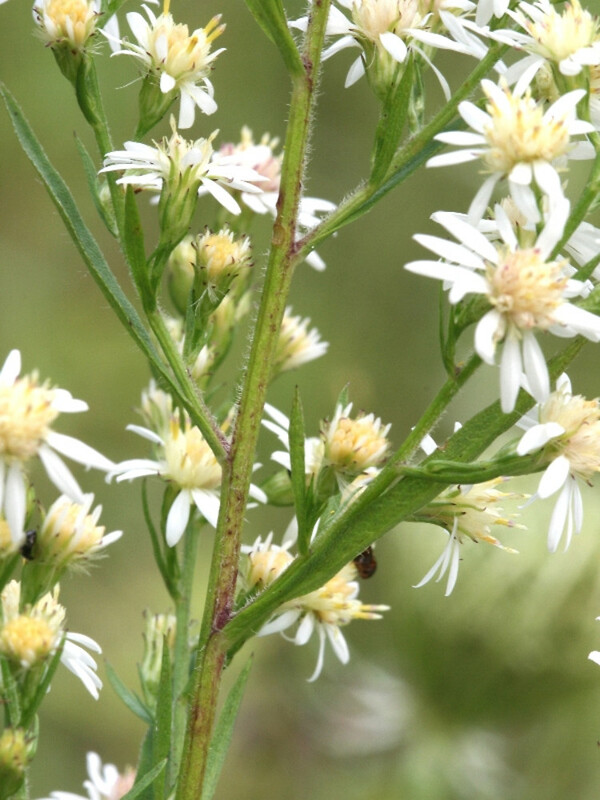 The name Aster sagittifolius has been misapplied to this plant for some time. 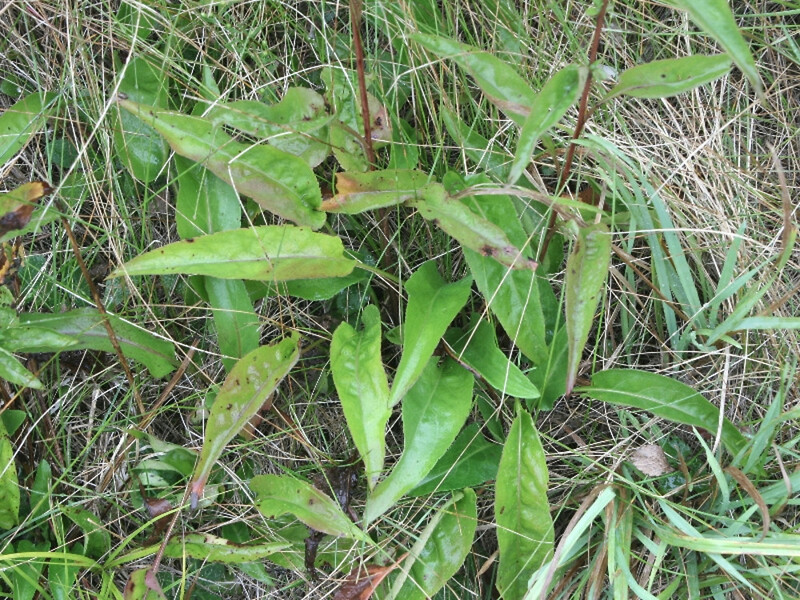 The type collection of A. sagittifolius proved to be Symphyotrichum cordifolium; therefore, another name needed to be chosen for this species (Semple et al. 2002).